Sr. Jacinta is one of the Sisters Of our Lady Of Charity. She joined the trustee in 2007 and has been a major contributor in decision making and to the welfare of the Edelvale Trust projects. Currently she is the hospital Administrator. Jamaa Home and Mission Hospital among many others. She holds a Diploma in Business management from the Kenya Institute Of Management. 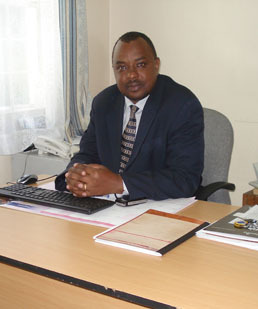 He joined Jamaa Mission Hospital in 1995 as a senior accountant and has been instrumental in the growth of the hospital from a maternity to a fully fledged hospital. Before joining Jamaa Mission Hospital he had worked with in an audit firm and in the hospitality industry as an account officer. He is a member of the hospital’s executive management and technical team, a trustee and secretary to the staff pension scheme. 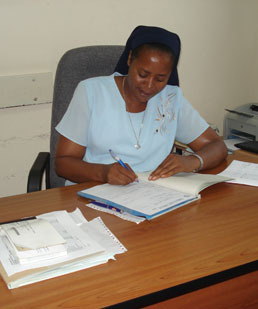 Sr. Stellamaris Kilonzi is a member of the National Nurses Association of Kenya, a member of both the Midwives and Paediatric Nurses Chapter of NNAK. 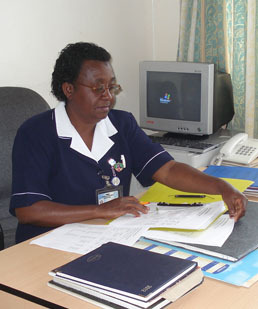 She has over 30 years experience having worked with The Aga Khan University Hospital and the Mater Hospital. She has taken short courses in leadership, fraud stop, self awareness, and process auditing, basic life support. Margaret Thuge has 11 years of outstanding success in a clinical laboratory. She is widely knowledgeable in good laboratory practice, quality assurance, laboratory safety monitory and evaluation of lab and point of care diagnosis services and system. 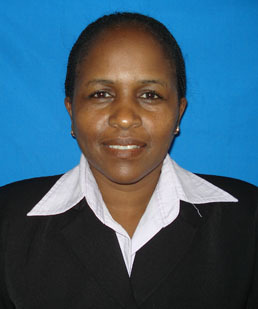 She is a member of AKLMSO and a registered member of the Kenya Medical Laboratory Technicians and Technology Board. Ms. Susan Olendo is an alumnusof Jomo Kenyatta University of Agriculture & Technology,who has foreseen the intergration of IT in the hospital for almost 4 years now. The hospital has well intergrated network systems and a LAN of upto 30 computers managed under the IT department. With a current window based Hospital Management Information system, the department is looking forward to upgrade its system with a web based system in the near future. Just to mention but a few,The IT department under the Edelvale Trusts has successfully managed to develop a website which is currently up and running. Among other duties, Susan has also managed to work in the administration unit and streamlined the control of inventory and other administrative duties.